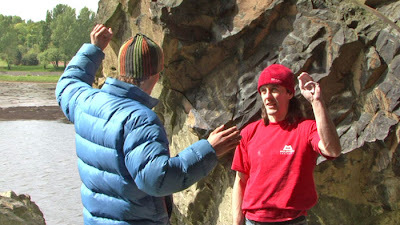 We normally don’t write blog entries about climbers that we filming before they complete their projects. At that stage of proceedings it is kind of private and personal and it’s also not right to raise expectations (or invite a crowd). However Sonnie Trotter has now written a bit about his current British trip on his blog and the ever-vigilant UK websites have picked up on it and written news reports, so I guess we can mention a few things. 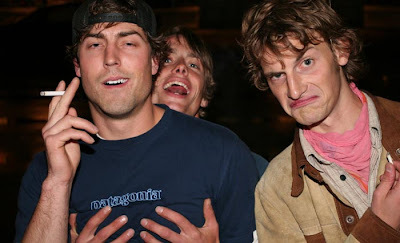 Sonnie Trotter being molested by Leo Houlding last autumn in Banff, Canada. Robin Beatty (British musician) looking concerned. 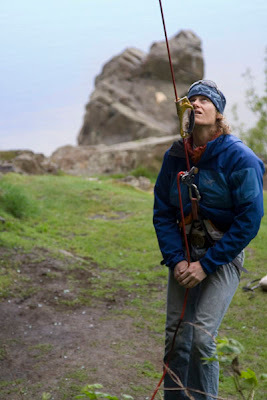 We met Sonnie out in Canada last autumn when we were there with Dave MacLeod, and contrary to what one might expect there isn't rivalry between the ascentionists of North America and Britain’s hardest trad climbs. 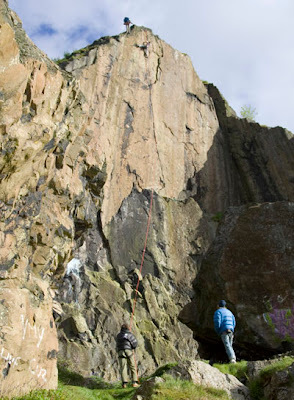 Quite the opposite, the guys were simply psyched about each others routes because of how good the climbing looks. So it was great to hear recently that Sonnie was coming over to try Rhapsody. Unfortunately Sonnie’s arrival coincided with the end of the driest spell of weather in the UK for years. So the Hot Aches crew were back over to Dumbarton. It was quite strange to be up on that headwall again. Fascinating too to see another climber working the complex sequences that we had filmed so much before. Sonnie working the crux section on the top headwall with a very very long top rope. Working the route during the brief occasions that the rain relented, Sonnie has been making great progress. Interesting also to see them round at Dave MacLeod's house studying the video and discussing the beta. 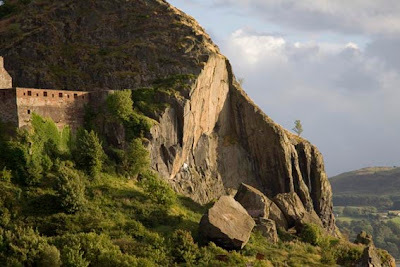 Certainly this is not the kind of route that even the best climbers would come and knock off in a couple of days. 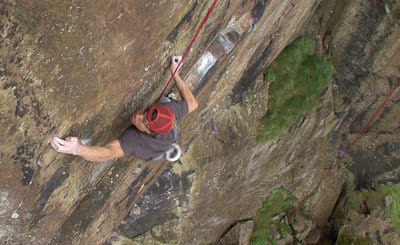 'WORLD CLASS' he said, and on Sonnie’s blog he describes the crux as “NASTY hard, BRICK hard”. Working the moves on Rhapody.